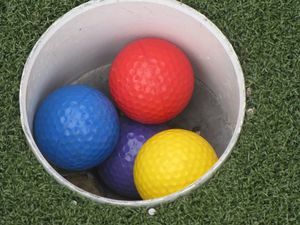 When you’re on the turf ready to go, golfing professionals turn to contact lenses or LASIK surgery rather than sunglasses, since glasses can interrupt their playing. However, most golfers don’t realize the sun is one of their biggest enemies due to the glare that reflects off water and UV Rays that can get in your eyes. These may lead to vision loss over long periods of time or even eye diseases like macular generation. Find a good pair that’s polarized. Polarized eyewear actual filters out the sun to prevent harmful UV rays, while tinted only reduce the glare. Find sunglasses that don’t have narrow frames because those often fall off. Try to check out different types and brands at your local optometry in order to find a pair that can stay on. There many alternatives that can keep your glasses steady without disturbing your focus. While laser eye surgery can be a quick solution for poor vision, one option for golfers is using contact lenses because of their low cost. Still, if you decide to check out LASIK eye surgery, especially as LASIK has become less expensive over the years, check with Dr. Roth at Bridger Eyecare for a LASIK consultation to see if you are a candidate. Although sunglasses provide golfers a better time in the sun & keeping your eyes healthy, finding a pair with the right prescription can ensure that you see the hole with the necessary precision. Have you ever stood over the ball, aiming for the hole, and yet the hole seems to disappear? Could be because you’re prescription is outdated, and your nearsightedness is ruining your game. The proper pair of glasses with the right planning can ensure your golfing continues for many years to come.